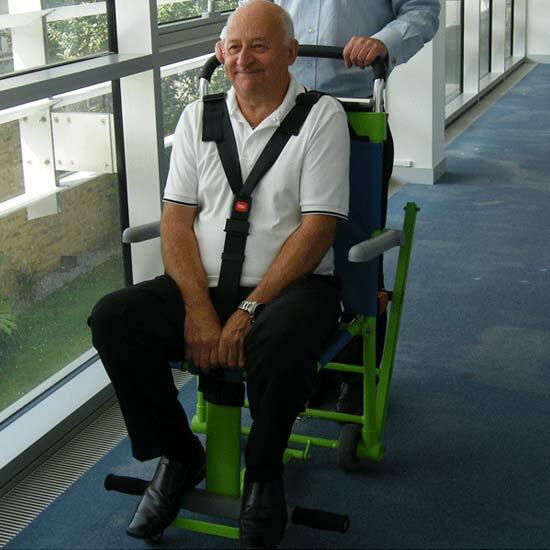 The ultimate evacuation chair for both client and operator, the Excel model is capable of accommodating a larger person of up to 182kg. It comes with additional harness straps and wider seat compared with the Standard model. The Excel chair offers enhanced features as standard to extend its potential operating use for any organisation. 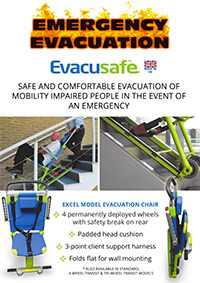 What is an Evacusafe evacuation chair? 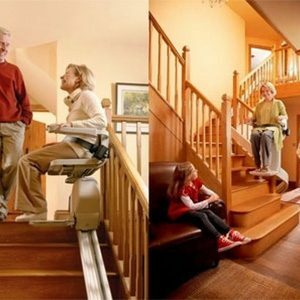 The Evacusafe is an evacuation chair used to quickly and safely remove a mobility impaired individual from a threatening situation whereby obstacles such as stairs may be present. 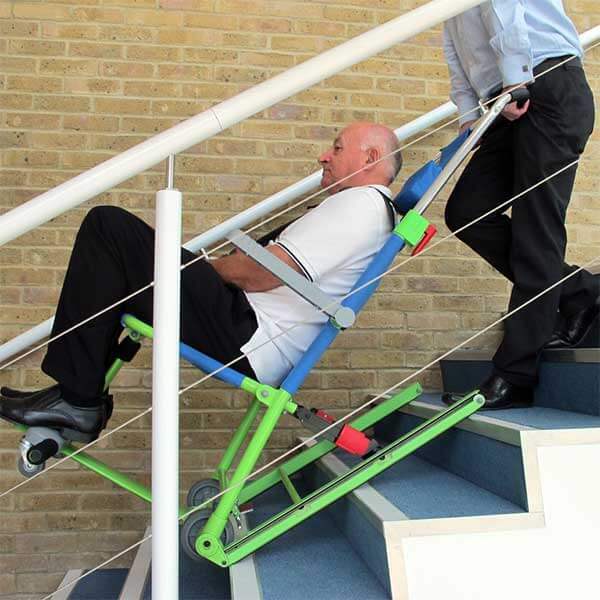 Suitable for a single person operation and can be used on a wide variety of stairs. Mainly operated on a straight continuous run, they can also be used (with some training) on a mild spiral, though this will be best suited for a 2-person operation. An upgraded version of the Standard model, the Excel has additional features including: weight bearing arms, full chest support harness and leg support strap for additional comfort and safety. 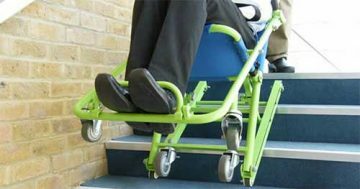 The Excel has a larger weight capacity and built-in carry handles which make it much easier to manoeuvre up stairways as well as travelling down them to ground level. 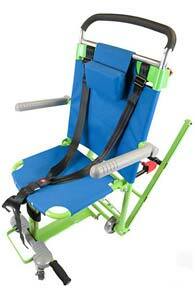 Read more about the Standard Evacuation Chair. Who benefits from having an evacuation chair? 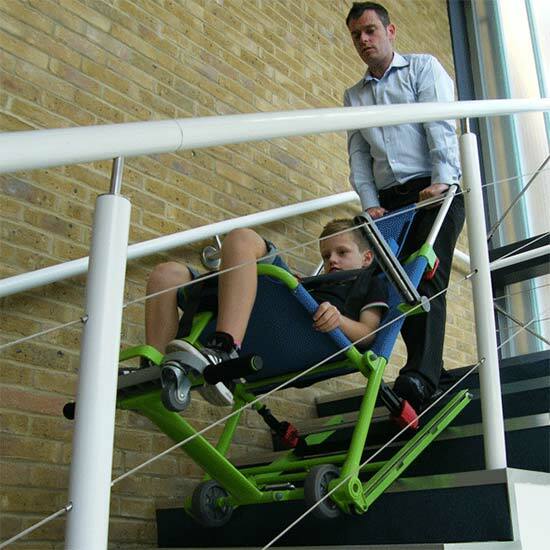 Evacusafe emergency chairs are designed to be operated by a single person, but having a second person is an advantage. The additional person or people may assist by opening doors, warning of obstructions and reassuring the person during the evacuation. Remove the protective cover and place the chair on the ground in a suitable position. Undo the support strap, then open the chair to a seating position, which releases the track mechanism and ensure it is locked into place, then open out the foot rest. Place the support strap over the clients head, then bring over the arm rests. Once the client is in the chair release the brake and make your way to the emergency exit. 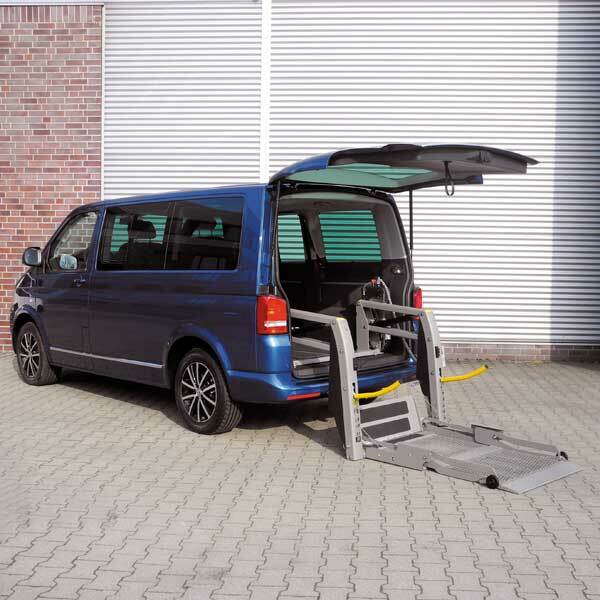 When set up is in wheelchair mode, it will travel over any flat surface smoothly and easily. Once in position lever the chair back by placing your foot on the green track assembly bar. Manoeuvre the chair forward onto the top two steps. Make sure the track stays in full contact with the stairs by pushing the handle down towards your feet. This will ensure a smooth controlled decent. When the unit reaches the bottom stair/ landing return the chair back to four wheels. We recommend creating and acting out your emergency evacuation plan. 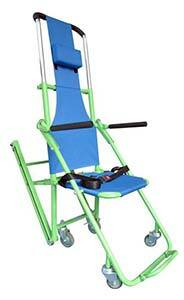 It will help you to feel confident with the operation of your evacuation chair in the event of an emergency. 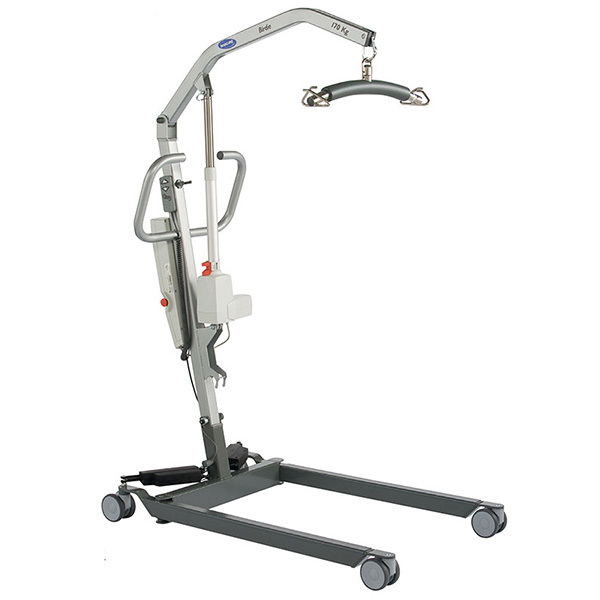 This product is only available for demonstration from our MoblityCare warehouse in Oakleigh – unfortunately we cannot offer home demonstrations.